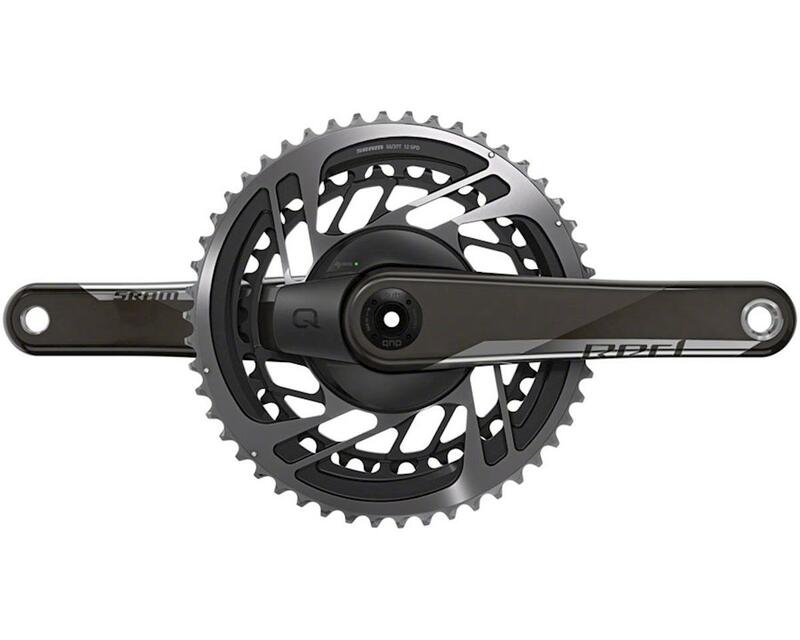 This is the Sram Red AXS™ Power Meter Crankset. This crankset uses X-Range™ gearing technology to give you better, more useful gearing. Sram designed all of the chainring pairs to have a 13-tooth gap to help keep the shifting precise, no matter what chainring size and cassette you are using. Also, the bigger range of gears on the Sram Red AXS cassette allow for smaller chainring sizes without losing any top-end gears. 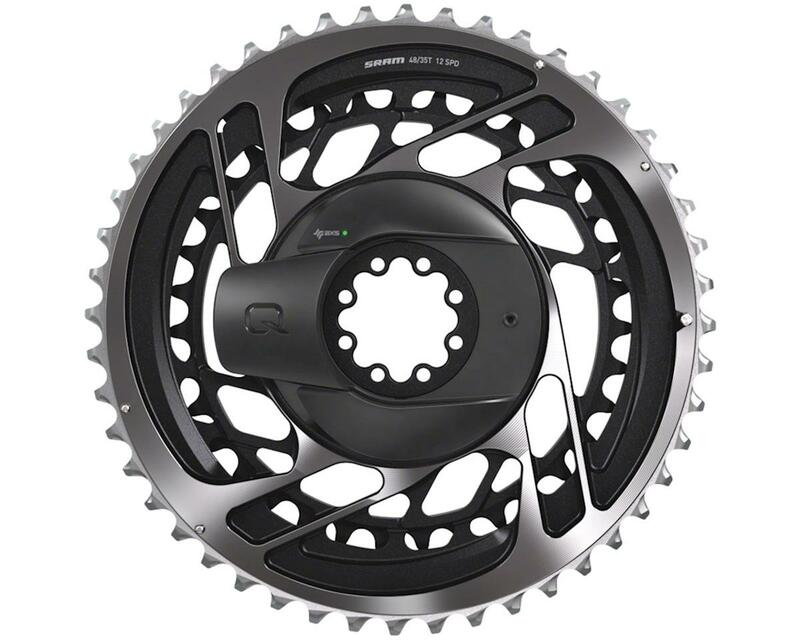 The Quarq DZero power meter is fully integrated into the chainring set to reduce weight. The DZero power meter reading is accurate within +/-1.5% and measures the left and right leg separately.